A new NASA study concludes global warming increases the amount of water stored underground which, in turn, slows the rate of sea level rise. At a time when scientists are worried about accelerating sea level rise, NASA scientist John Reager and his colleagues found an extra 3,200 gigatons of water was being stored by parched landscapes from 2002 to 2014, slowing sea level rise by 15 percent. “We always assumed that people’s increased reliance on groundwater for irrigation and consumption was resulting in a net transfer of water from the land to the ocean,” Reager said, according to AFP. “What we didn’t realize until now is that over the past decade, changes in the global water cycle more than offset the losses that occurred from groundwater pumping, causing the land to act like a sponge — at least temporarily,” Reager said. Increased storage on land slowed sea level rise by 0.71 millimeters per year, according to Reager. The study argues climate was the main driver behind increased water storage, through human activities did play some role through things like filling reservoirs. For decades, scientists have sounded the alarm over melting ice sheets at the Earth’s poles. Melting ice would raise sea levels, they argued, along with water expanding as it warms, a phenomenon called thermal expansion. A University of Tasmania from May 2015 claimed sea level rise had increased since 1993, but the sea level rise trend they found had no statistically significant difference between the previous trend. 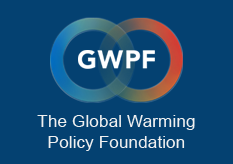 “The researchers take the view that there is a difference between the before and after results because the initial figure is smaller than zero (but not statistically different from it) and the corrected figure is larger than zero (but still not statistically different from it) so that means there has been an acceleration!” Wrote Dr. David Whitehouse of the Global Warming Policy Foundation.